This is another fine set from Boozoo Chavis, one that was released as he was regularly performing in the ’80s. 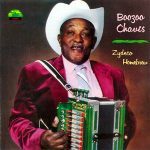 Chavis was one of the principal architects of Zydeco music, and the selections on this set breathe with an authentic naturalism. His sound differs from that of other accordionists in his use of the single-note, diatonic model of instrument. The sound of the instrument is like that of a harmonica, especially because the bellows movement mirrors the act of human breathing. 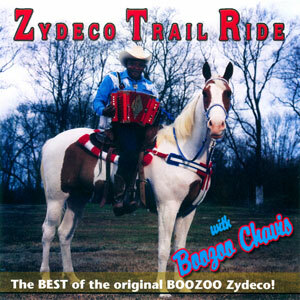 Zydeco Homebrew is rich and deep music that doesn’t seem the slightest bit dated. Chavis’ singing is resonant and honest, and the four-piece band accompanying him never lets up. It’s no surprise that Chavis is a regular on the dance hall circuit in his native southern Louisiana… this music is designed to make you move! Included are 5 songs not available on the original Zydeco Homebrew LP/Cass. 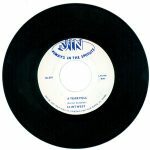 Re-released on CD in 1992, 15 tracks.